The Port of Baltimore set new cargo records in 2017, handling 10.7 million tons of general cargo and the most containers and autos in its history, officials said. General cargo tonnage, which includes containers, autos and light trucks, farm, mining and construction equipment, forest products and breakbulk cargo, increased by 7% from the previous years. It was the second year in a row the port has handled more than 10 million tons. The port’s state-owned public terminals — already the top in the country for autos and light trucks — saw a 10 % jump to a record 803,999 of them moving across its piers last year, according to the Maryland Port Administration. 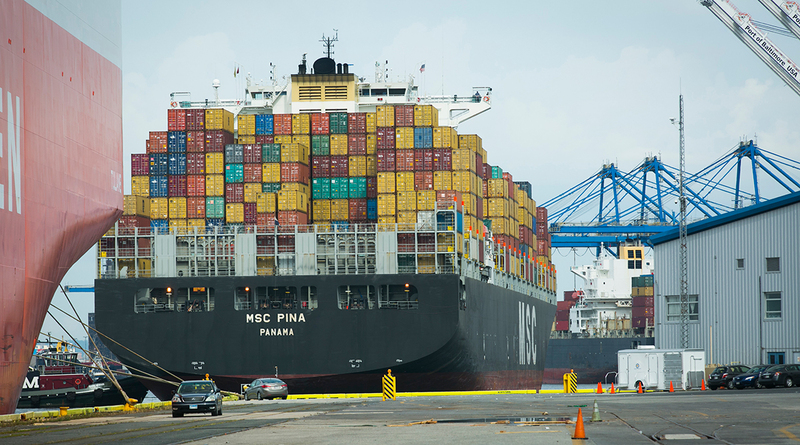 The port’s container business, which has long lagged behind its competitors in New York and Norfolk, Va., has continued to grow since the expanded Panama Canal opened in 2016, allowing larger container ships to more easily reach the East Coast from Asia. Container volume at the port grew by 11% last year, to a record 596,972 containers. That growth prompted the state last year to expand the port for the first time in 30 years, with a 70-acre land purchase to provide more container storage space. Ports America Chesapeake, which runs the Seagirt Marine Terminal, added six new yard cranes this week to help alleviate the congestion that has resulted from the recent container boom. “Our administration will continue to make the necessary investments in the Port to help this vital asset grow and succeed,” Hogan said.